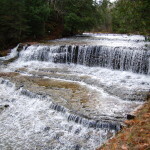 Visitors to Michigan’s beautiful Upper Peninsula can visit more than 200 waterfalls, ranging from large ones like Tahquamenon Falls and Bond Falls to smaller drops like Rapid River Falls and Tobacco Falls. 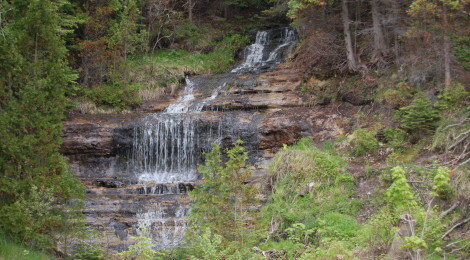 Alger County is home to many amazing waterfalls, and while favorites like Wagner Falls, Munising Falls and Sable Falls aren’t that difficult to get to, no waterfall is as easy to view as Alger Falls. 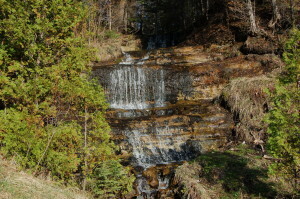 Located just south of Munising, Alger Falls is so close to M-28 that you don’t even have to get out of your car to see it. A small green sign pinpoints the location, and a dirt pullout area provides a great place to stop for pictures – or if you’re so inclined it’s pretty easy to walk up a bit closer. 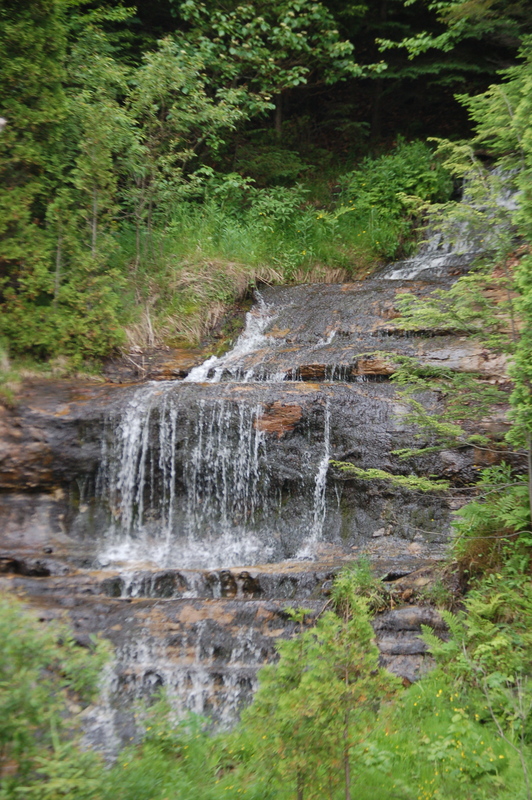 The entire drop here is about 15 feet, and the setting so picturesque that it almost seems manmade. 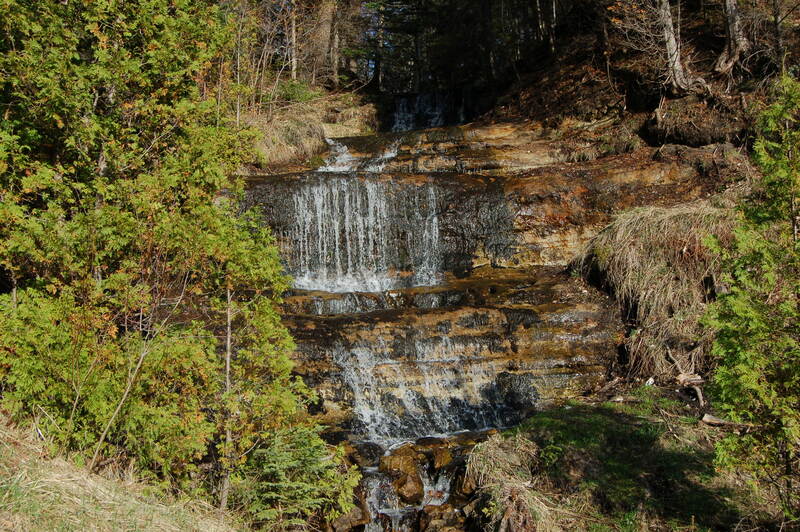 Alger Creek drops over sandstone ledges next to this busy roadway, just a stone’s throw from the M-28/M-94 junction and about 500 feet from the parking area for Wagner Falls. 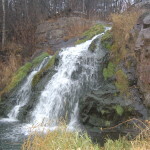 Depending on the season and recent rainfall or snowmelt this waterfall can vary quite a bit. 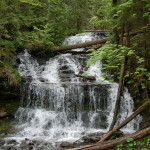 At times in the summer and fall there may be little or no water, while in the spring it can really get flowing. 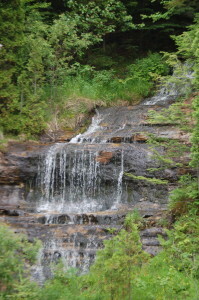 If you’re looking for an easy-to-visit waterfall, look no further than Alger Falls in Munising! 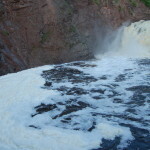 For a list (and photos) of other waterfalls that can be seen from a car, check out: 10 Upper Peninsula Waterfalls That Can Be Viewed From Your Car. 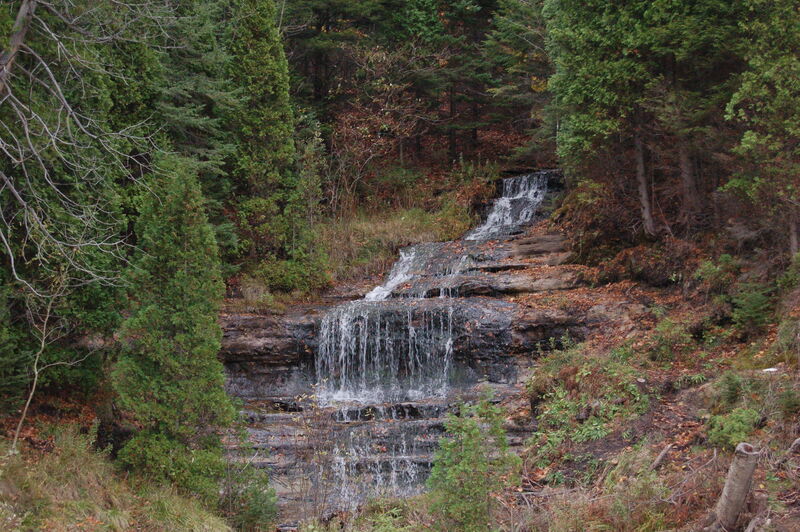 Directions: Located on the east side of M-28 just south of Munising and across from M-94. Use caution exiting your vehicle if you choose to, as traffic can be heavy here at time and moves along at a pretty good clip.